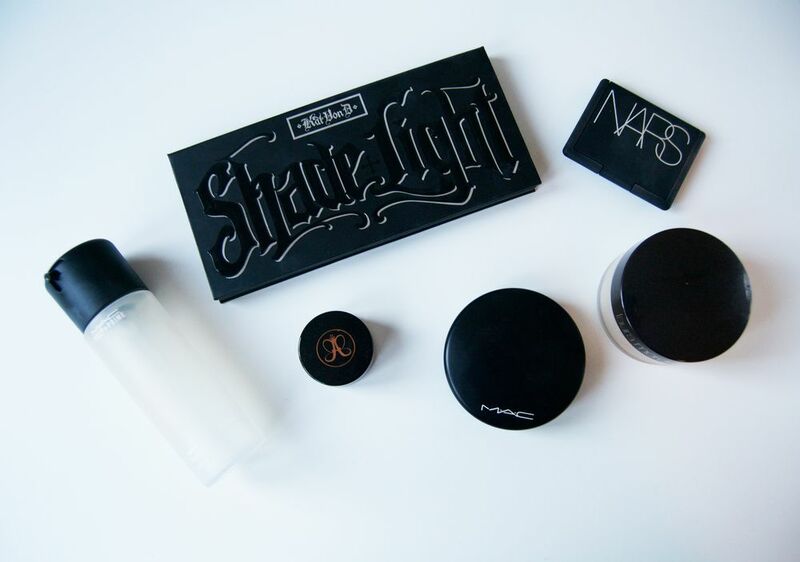 So this is the second part of my favourite beauty products of 2015. This time around its about makeup products, and more specifically face products. I'd been trying out so many different products last year and I began to be more into high end products and I've actually almost completely stopped buying drugstore makeup. I most only buy drugstore mascaras, nailpolishes and lipsticks. To be honest, there aren't much of those either in my collection. 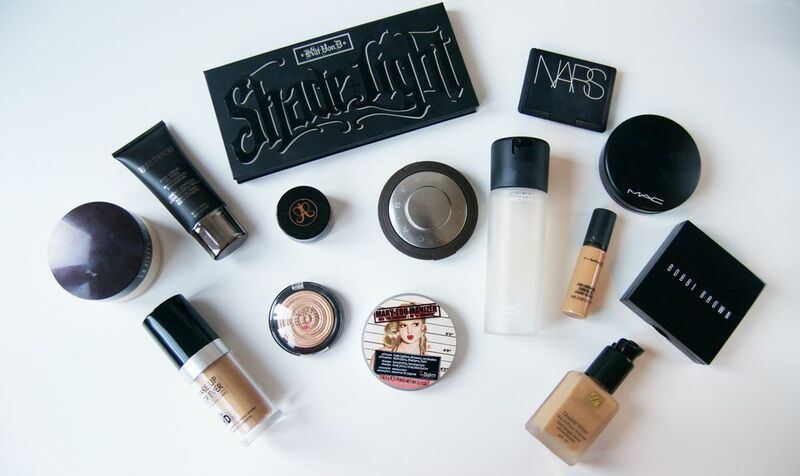 Let's go through which products I've been loving during 2015. The newest addition to my foundation collection and I've been using it non-stop since I got it. At first I was a bit disappointed because I had expected it to have full coverage, but it doesn't. The girl at the Sephora where I bought it said it had medium to full coverage, but this foundation is very runny and is not at all full coverage. However, it's buildable. So you can go from sheer coverage to medium coverage and the best part? It doesn't look cakey and it looks very natural. It blends into my skin smoothly and the color range is amazing! So even if it isn't full coverage (I'm a full coverage kind of girl) I still love this foundation. Now this is a full coverage foundation. I usually wear this foundation to work, especially if I'm in a hurry, because I don't need to use any concealer and this foundation covers all my redness around and on my nose and chin area. Love it! This however isn't very buildable. It looks cakey if you use too much. 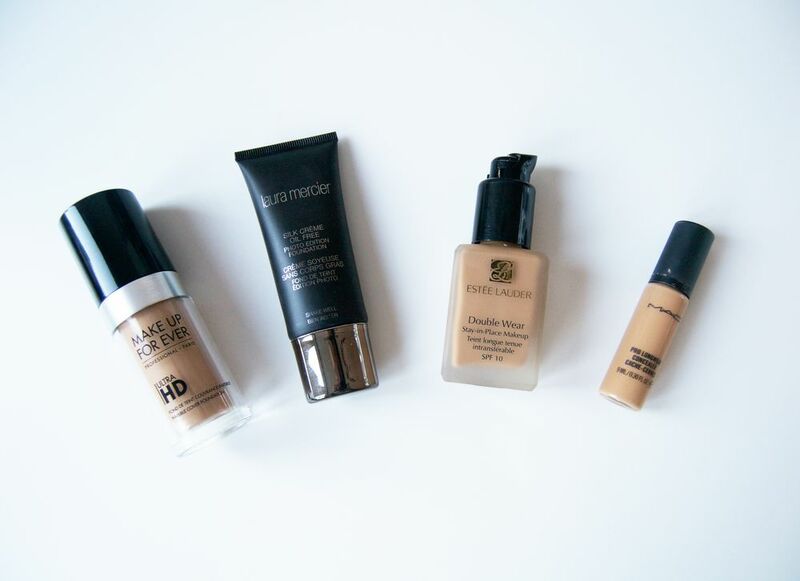 I love this foundation! It isn't as full coverage as the Laura Mercier one, but it definitely has more coverage than the MUFE Ultra HD foundation. This looks natural and it doesn't separate or glide off during the day. The only downside to this foundation (except for the price) is that the color range isn't that great. I can only really use this foundation when I'm tan, because they don't have my "pale" shade. Favorite concealer of all time. I love this more than the Nars Creamy concealer. I'm not that into thick heavy concealers and this one is very lightweight but you still get amazing coverage from it! I've used it so much I've run out of it in all three shades I own. The best all around setting spray. This doesn't make my makeup last longer, but it does my make base look more natural and less cakey. Plus I love this when I use eyeshadow because of the glycerin it contains, it makes your eyeshadows look more intense plus you can use it instead of a mixing medium when applying glitter to you eyelids! I've already used up three of these bad boys in like 8 months. This is a staple in my collection. When I run out, I always buy more. I haven't had this palette for long, but once I used this bad boy my ABH contour kit had to retire early. The shades in this palette are so pigmented and they are more cool toned. Plus the "banana powder" in this palette actually brightens, you can immediately see the difference. Yeah, I won't be swithing back to ABH anytime soon. My most used blush this year by far, I use it almost everyday. This is my perfect everyday blush. Enough said. What did I do with my life before I found this Dipbrow Pomade? I'm afraid to look back at old pictures because my brows were a mess. My brows are still a mess, but at least now I can hide the mess during the day when I have this on. I will never stop using this pomade. Ever. Favorite bronzer! This gives me that perfect sunkissed glow! This looks especially good on me during summer. It's a bit on the orange side so don't go overboard with it. Plus, it'll probably look best on olive complexions because of that same reason. Best. Powder. Ever. Do I even need to explain it's magic? If you don't have it, Get it! Because you need it! 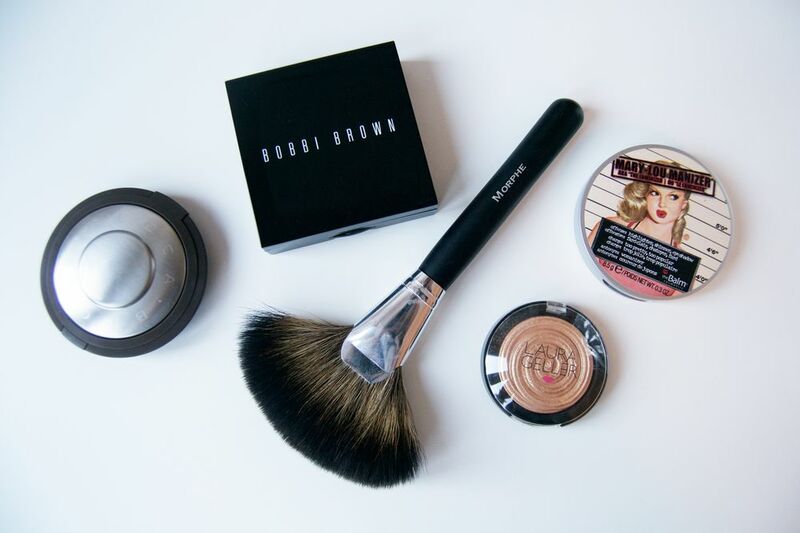 This powder will make your base look flawless plus it's great for "baking". However, it isn't all that great for your wallet. I did a recent review of this beauty. If you're gonna buy any highlighter. Get this one. You will not regret it. It has that perfect wet look that doesn't look unnatural or powder as some highlighters do. This will make you naturally glowy, just apply it with a gentle hand if you're going for the natural look, because a little of this will go a long way. My most used highlighter this summer. This will give you that natural bronzed glow so it's ideal when you're tan. I've even used it as eyeshadow, looks great even though it doesn't have the same intensity and pigmentation as an eyeshadow should have. I just reviewed this bad boy, so if you want a more in depth explanation as to why I love it, scroll a few posts down and you'll see. All you really need to know is that this baby will give you that golden glow you cannot be without. This and the Bobbi Brown Shimmer Brick will be my go-to highlighters this summer whan I'm tan. Probably my most used highlighter during the entire year. I probably wore this highlighter 75% of the year. This highlight is not for the weak of heart because this highlight will be seen from outer space. It is however a little light for me when I'm tan, so I don't really use it during summer, but that's just a personal preference. Do you have any favorite face products of 2015?